The following is a letter to Health Minister Brad Green. The Autism Society New Brunswick wishes to send congratulations and our sincere thanks regarding the recent announcement to deliver specialized services for persons with Autism Spectrum Disorder at the Stan Cassidy Rehabilitation Centre. We in the autism community were delighted to hear that funding is to be allocated for the development of a highly specialized autism team. Special thanks to Ron Harris and committee members for your dedication and efforts to ensure the visionary plan would indeed become a reality. We believe this is very positive and the right step. Autism is a serious neurological disorder, often accompanied with severe complex health issues, which puts this population at a greater risk. Having a specialized autism team providing the necessary medical interventions will no doubt reduce the autism at risk population. 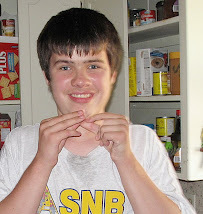 The Autism Society New Brunswick wishes to applaud everyone for their efforts. The announcement has been very encouraging for the autism community. The abstract and links are for a recent article in the Indian Journal of Medical Sciences. The full article provides a good overview of autism, diagnosis, prevalence, causes and management of autism. Autism is a complex neurodevelopmental disorder characterized by qualitative impairments in social interaction and communication, with restricted, repetitive, stereotyped patterns of behavior, interests and activities. These behaviors manifest along a wide spectrum and commence before 36 months of age. 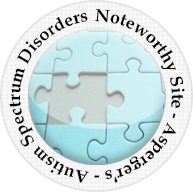 Diagnosis of autism is made by ascertaining whether the child's specific behaviors meet the Diagnostic and Statistical Manual of Mental Disorders-IV-Revised criteria. Its etiology is still unclear but recent studies suggest that genetics plays a major role in conferring susceptibility. Recent neuroimaging research studies indicate that autism may be caused by atypical functioning in the central nervous system, particularly in the limbic system: amygdala and hippocampus. In a third of autistic children, loss of language and/or social skills occurs during the second year of life, usually between 15 and 21 months of age. 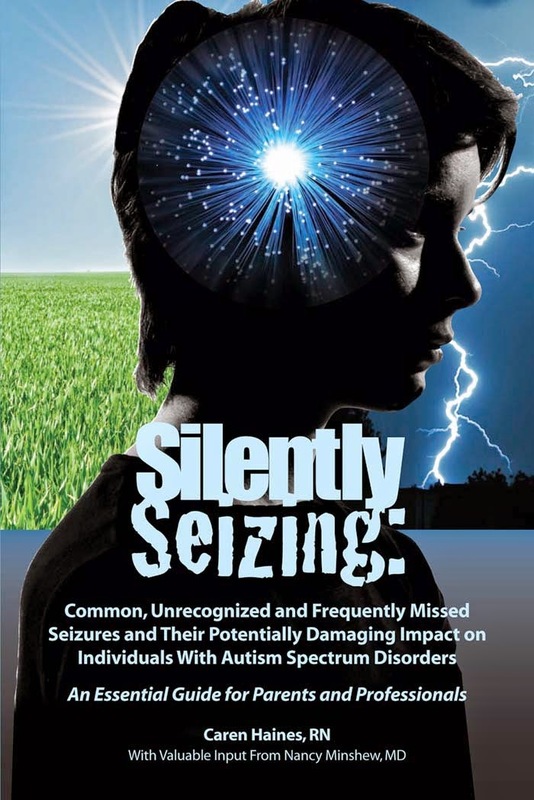 Comorbidity with mental retardation, epilepsy, disruptive behaviors and learning difficulty is not uncommon. Although there is currently no known cure for autism there is evidence to suggest that early intervention therapy can improve functioning of autistic children. Judicious use of psychotropic drugs is necessary to manage associated aggression, hyperactivity, self-mutilation, temper tantrums; but drugs are not a substitute for behavioral and educational interventions. The family physician can play an important role in detecting autism early, coordinating its assessment and treatment, counseling the parents and classroom teacher, and monitoring the child's progress on a long term basis. I wish to express my serious reservations with your party’s announcement that it will implement all recommendations in the MacKay Report and will follow the timelines set out therein as well. Following the MacKay recommendations for a provincial autism strategy will set back the education of autistic children to a level not seen in several years and will cause many severely autistic children the opportunity to receive a real education. 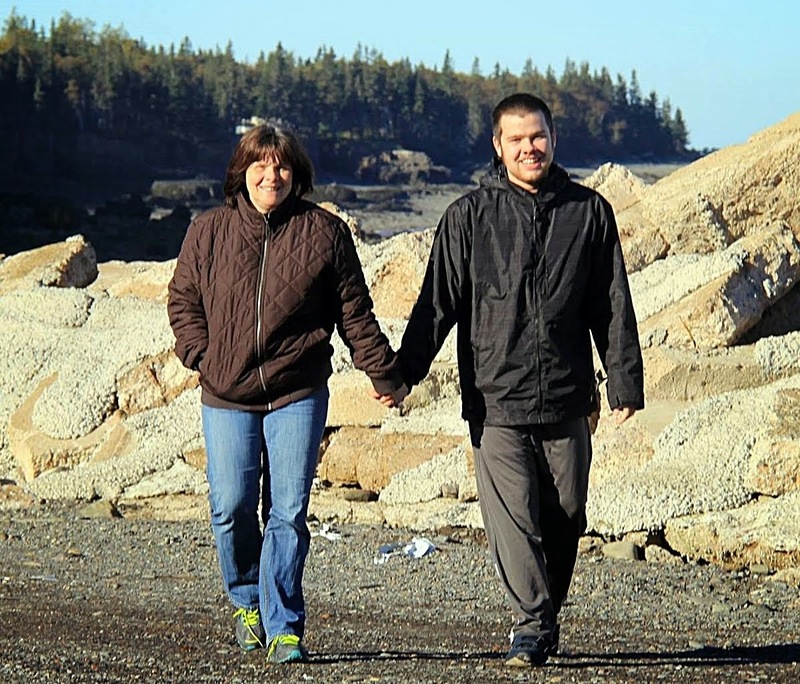 The Department of Education and the Autism Society New Brunswick have been engaged in an ongoing dialogue in various forums over the past 6 years. As a result, right now 80 Teacher Assistants and 9 Methods and Resource Teachers are being trained at the UNB-CEL Autism Intervention course; the TA’s as Autism Support Workers and the M&R teachers as Clinical Supervisors. The UNB-CEL course was developed with input by ASNB and it has already won recognition across Canada for training pre-school autism workers. 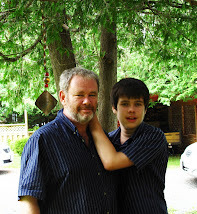 With approximately 1000 autistic students in NB schools we need to expand the numbers trained by 4-500 hundred. The MacKay recommendations make no mention of the UNB-CEL autism training. Nor does it reflect the urgent need to train autistic children. Instead the MacKay report proposes delay in the form of development of a provincial autism strategy which will take 2-3 years just to develop the strategy and further time to implement. Autistic children do not have the luxury of such delay. 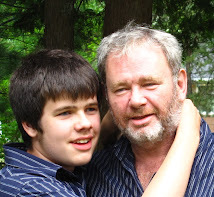 The delivery of autism services in New Brunswick has been studied for too long. It is long past time that autistic children began receiving a real education. Use your good judgment in implementing MacKay and trust the made in New Brunswick solution which is already under way. Commit to expanding the number of TA’s and Resource teachers, already working with autistic students, at the UNB-CEL. One week ago I asked whether any of the three party leaders would commit to providing a real education to autistic children in New Brunswick by training a further 400-500 TA's through the UNB-CEL Autism Intervention Training program. The response has been - silence. No substantive response has been received from the parties hoping to form the government on Sept 18. Many autistic children, particularly those with classic Autism Disorder, require highly structured, individualized instruction. They often have the assistance of untrained TA's to accomplish this. Without the necessary training most of these children will be receiving nothing more than babysitting service. Their opportunity to learn will be squandered. I ask again, will any of the 3 leaders seeking to become Premier on Sept 18 make a specific commitment to train an additional 4-500 TA's at the UNB-CEL Autism Intervention Training course? 1000 Autistic schoolchildren and their families in New Brunswick would appreciate an answer. Founded in 1998 by parents and professionals dedicated to improving the lives of people with autism, ASAT advocates for science-based information and effective services. ASAT strives to be an important resource for individuals with autism, family members, professionals, and paraprofessionals – in short, for anyone interested in reliable, science based and accurate information about autism and its treatments. We have an outstanding and highly regarded Advisory Board, drawn from the fields of neuroscience, genetics, psychiatry, psychology, education, and behavior analysis. The Board of Directors and Advisory Board are deeply committed to assuring that families who receive the diagnosis of autism have access to credible information as they navigate the maze of theories and choices that abound in autism intervention." Advocates of full classroom inclusion for all students believe that simply putting children with serious disabilities in a regular classroom will automatically benefit those children. The inclusion model is based on belief or philosophy. It is not based on evidence, fact or careful study. Regular classroom inclusion does not work for all children. Forcing some children to remain in the regular classroom for the entire school day can legitimately be seen as a form of abuse. There is no question that many autistic children are not receiving a real education. 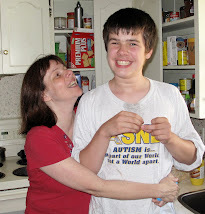 My autistic son Conor was overwhelmed by being placed in a classroom for a full school day with other students. 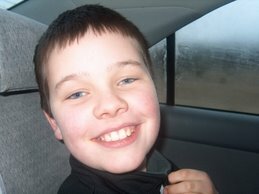 Like many autistic children he is sensitive to sights and sounds in his environment. He was expected to learn a different curriculum, using a different method of instruction, than other children his same age. The result? Conor was coming home every day with self inflicted bite marks on his hands and wrists. Something had to be done. 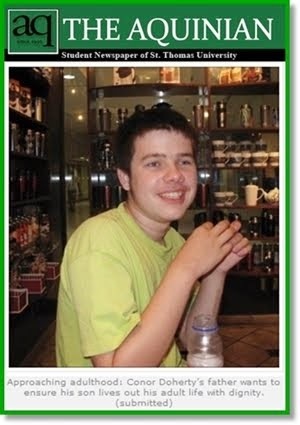 Conor was removed from the regular classroom for most of his school day and was permitted to work in a quieter location with a Teachers' Assistant where he recieves one on one instruction. He is brought into the regular classroom for limited, manageable, periods of time for specific defined activities that give him the opportunity to socialize with other students and gives them a chance to socialize with him. Since being removed from the regular classroom the biting has ceased almost completely. He has also been learning more. In his quiet location he can be taught using the specialized Applied Behavioural Analysis methods of instruction which experience and professional study have shown to be effective in teaching autistic children. It would have been abusive to leave Conor in his classroom where he was not learning, where he was frustrated and where his inability to cope resulted in serious self injury. "Would you be alarmed to learn that one teacher of the very early years had 18 students, with 11 having behavioural problems? Medical conditions ranged from Autism, to severe ADHD, to basic behavioural problems. An assistant for half days was all that was allocated. Shame on us for expecting that our children can learn in this environment and that we can offer nothing better than massive groupings with so many needs. In reality is this not a form of abuse? Physically sitting in a classroom is not inclusion. Children can be excluded by sitting in a classroom that's not meeting their needs. … You might call it a form of abuse, in a sense, that those children are in a situation that's totally inappropriate for them." Educating students with autism requires an understanding of the unique cognitive, social, sensory, and behavioral deficits that characterize this developmental disability. These include limited and disordered language skills, unusual sensory processing, difficulty combining or integrating ideas, difficulty interpreting the underlying meaning or relationship of events they experience, problems processing multiple sensory stimuli, and resistance to unpredictability and change. Students with autism need special instruction in individually designed settings that minimize their deficits and present information in ways they comprehend. Many traditional educational techniques, appropriate for other students, are particularly ineffective for students with autism. Specifically, students with autism have a fundamental deficit in the area of language, so that verbal explanations of material and expectations are among the least productive ways of conveying information to them. Further, because most students with autism have relatively poor imitation skills, encouraging them to model the behavior of other students is usually ineffective. Finally, many students with autism find social rewards ("I am proud of you," "your buddies will look up to you") incomprehensible or meaningless, making this universally applied education technique of limited value. While this description of characteristics unique to autism does not mean that students with autism are incapable of learning, it does mean that most of them require specialized instructional techniques. To the extent that regular classrooms cannot adjust to the special needs of many students with autism, the full inclusion model may limit the appropriateness of the education these students would receive under that model. First, full inclusion proposes that the best place for each student is in the regular classroom. Many students with autism, however, perceive their environments differently from children with other handicaps or their nonhandicapped peers. They may find the noise of a regular classroom to be distracting or even painful, the colorful materials distributed throughout the classroom to be overstimulating, and/or the physical organization of the classroom inadequate for identifying where to go and what to do. As a result, these students may have considerable sensory-perceptual difficulties in the classroom, leading to disorganization, agitation and, in some cases, even aggressive outbursts. An important educational strategy for autism is to structure environmental conditions so that students can attend to and comprehend instruction. These manipulations can include the use of extensive soundproofing, isolated and visually bare work spaces, physical barriers that separate play and work areas, predictable routines, very small groups or individual instruction, and reliance on visual and gestural communication. While these modifications can be made to some extent in regular classes, many teachers may be frustrated by limitations on their ability to adjust their environments to the extent desirable or necessary for their students with autism. 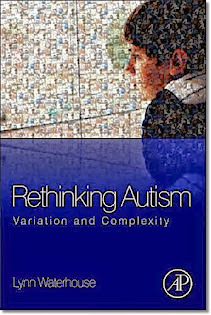 A further concern is that full inclusion, as a policy, explicitly and implicitly discourages the development of specialized approaches, while the unique characteristics of students with autism make specialization essential. When specialized services are unavailable, students with autism and their families invariably suffer. Frustrated parents can recount a multitude of stories about how otherwise competent professionals misdiagnose their children or suggest inappropriate intervention techniques because they lack expertise in the subtle nuances and variations of autism. Treatment programs have reflected the same problem. While general treatment and educational strategies, such as positive reinforcement, and following a developmental sequence are often applicable to autism, they require specialized knowledge and training to apply appropriately to autistic students. Full inclusion inevitably encourages more generic strategies by placing students, irrespective of their disabilities, with professionals who are required to work with the entire range of students, including nonhandicapped peers. Advocates of full classroom inclusion in New Brunswick would do well to listen to thoughtful and knowledgeable observers of what is really happening in "inclusive" classrooms. Inclusion is a philosophy, a moral principle, which when put in place rigidly, and without regard for its effect on children with autism and other disabilities, can in fact be hurtful and counter productive. Stop preaching about the benefits of inclusion and start looking at the reality. The reality of full inclusion is not as pretty as the rhetoric. In some cases inclusion is a form of abuse. In many cases it is opportunity lost; the opportunity for autistic children to receive a real education. Last week the government announced the funding of a dedicated autism team at the Stan Cassidy Centre for Rehabilitation. The announcement may not have received much notice from the general population but those involved with autism in New Brunswick are well aware of how important and positive this announcement was. Health Minister Brad Green and his advisors deserve hearty appaluse for establishing a dedicated autism team at the Stan Casssidy. The Stan Cassidy has provided specialized health-care treatment for individuals with complex neurological conditions including many persons with autism. Over a year ago it was announced, largely because the provision of autism services was overwhelming the ability of the Stan Cassidy team to service its clientele, that autism services at the Stan Cassidy would be discontinued. The autism community was outraged. The autism patients being treated at the Stan Cassidy suffered from complex and dangerous problems. Withdrawal of the tertiary care services provided by the Stan Cassidy would place the health and safety of autistic persons with severe problems at greater risk. The response of the decision makers at the Stan Cassidy, the River Valley Health Authority and the Department of Health was very positive and serious. A committee was struck to seek input and the result was a recommendation for a dedicated autism team at the Stan Cassidy. The addition of this team is expected to ease the backlog on admission and treatment of all patients with neurological problems. In addition to Health Minister Green, Dr. Ron Harris of the Stan Cassidy and Dianne Morrison of River Valley Health Authority deserve special acknowledgement for making this happen. 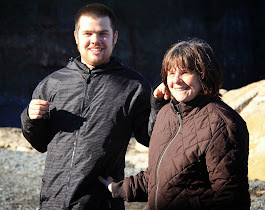 Others deserving of specific recognition for their contributions are Dawn Bowie of the Autism Society New Brunswick and Paul McDonnell, Professor Emeritus (Psychology) a well known figure in the autism community in New Brunswick. Some have questioned whether the announcement of a dedicated autism team at the Stan Cassidy was politically motivated. While the actual timing of the announcement may have been influenced by political considerations, the recommendation itself followed months of careful examination and consideration of the problem and how to resolve it. The recommendation from the Committee had not been before government long - as time is measured in the government decision making process - before the announcement of a dedicated autism team at the Stan Cassidy was made. Sometimes the system works. This time it worked for the autism communtiy. Thanks again to all involved in making this happen. Will the party leaders commit to providing a real education to autistic children in New Brunswick by training a further 400-500 TA's through the UNB-CEL Autism Intervention Training program? 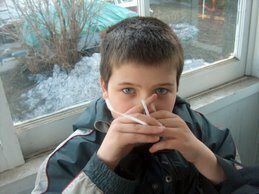 In New Brunswick there are approximately 1000 school children with an autism disorder. Many are essentially receiving high quality baby sitting services. But they are not receiving a real education. These autistic children require one to one instruction by persons trained in autism. That usually means the Teacher's Assistant that many require for safety and for learning assistance. The Autism Intervention Training program offered by the UNB-CEL is endorsed by the Autism Society New Brunswick as a training program for TA's working with autistic children. Almost 80 TA’s are currently being trained in this program but that barely begins to address the needs of 1000 autistic children. I ask the leaders of the Conservative, Liberal and NDP parties if they will provide a solid commitment to train an additional 400-500 TA's at the UNB-CEL Autism Intervention Training course so that autistic children in NB can receive a real education. Please refrain from statements of sympathy for our children's situation or vague, meaningless election promises. I ask you to provide this specific commitment as a binding commitment. 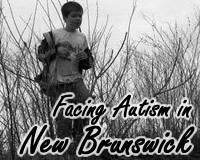 Hello everyone with an interest in autism in New Brunswick and those who are just clicking on this blog out of curiousity. 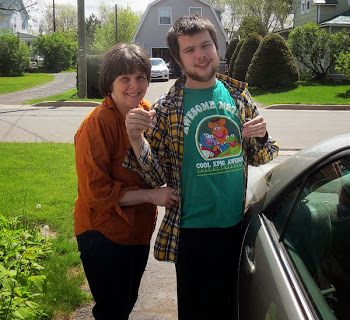 I thought that the NB election would be a good time to start this blog site dealing with autism issues in New Brunswick, Canada.